A little over a week ago I was honored to be an invited guest to attend a day of Jam and Jive, an informative event hosted by Edible Austin, Travaasa, and Sustainable Food Center. The focus of this enlightening weekend was to highlight preserving food. 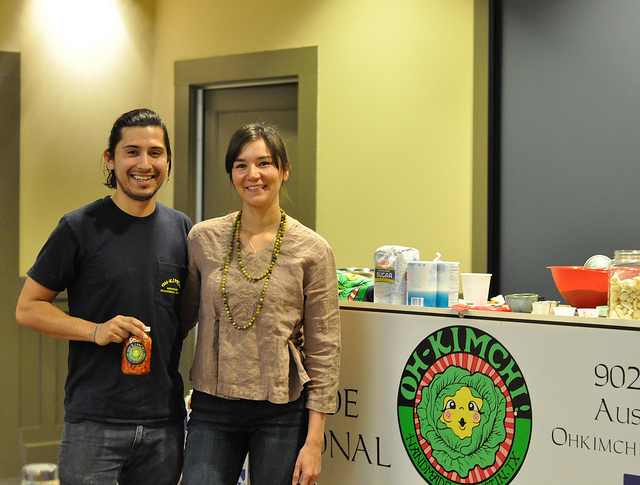 One of the workshops I sat in on was Oh Kimchi’s Mul Kimchi workshop. 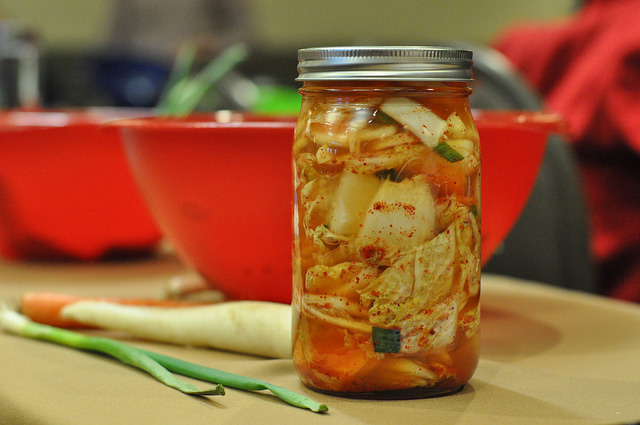 Mul Kimchi is water-based kimchi and it was so empowering to find that anyone can make their own jar of kimchi! Slice vegetable into bite size pieces and place into a mixing bowl. Mince or thinly slice garlic and add to mixing bowl. Liberally add salt and sugar and hand mix vegetables. The vegetables should start to react to the salt and emit liquid. Fill mason jar with vegetables. Pour in water so it completely covers the vegetables, tightly close the lid, and shake the jar gently. Taste water to see if it needs anymore seasoning. Leave closed jar out for 1-3 days at room temperature. The flavors should start to mature. When it reaches a flavor you are satisfied with, store the jar in fridge. 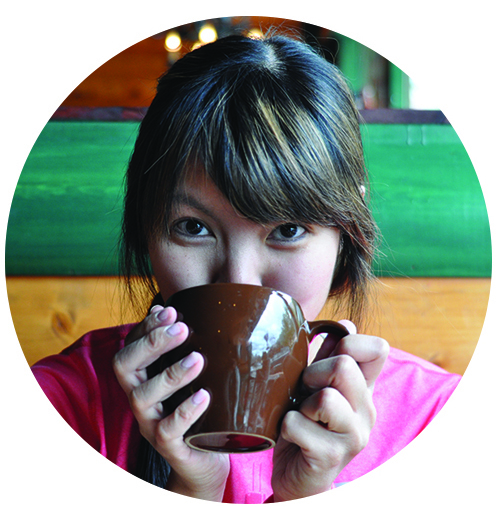 What can you do with your jar of Kimchi? Eat it on it’s own with rice or as a side to your main dish. 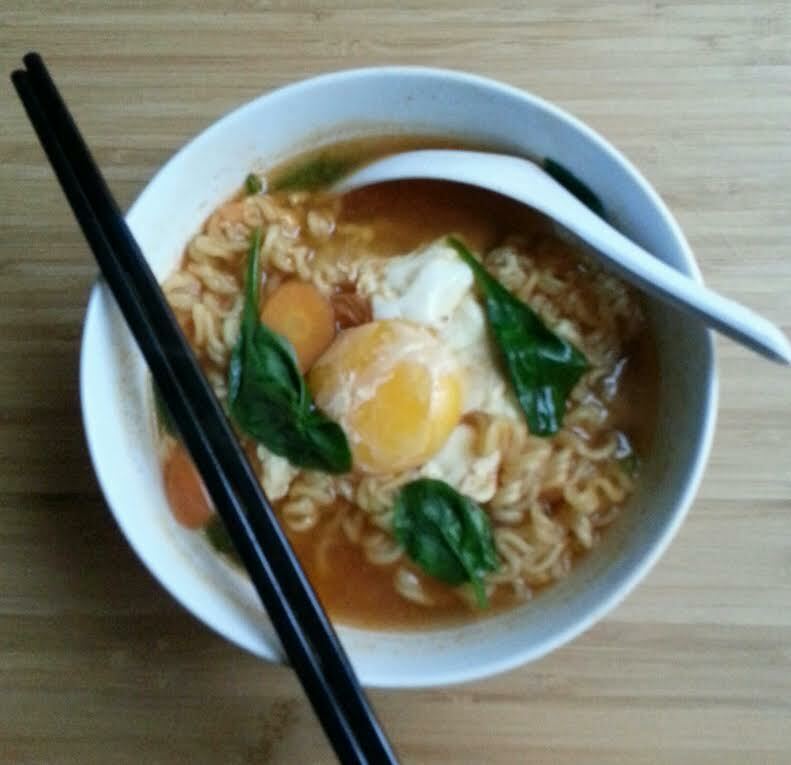 Throw in some of the broth and the vegetables to add nice flavor and bite to your ramen. 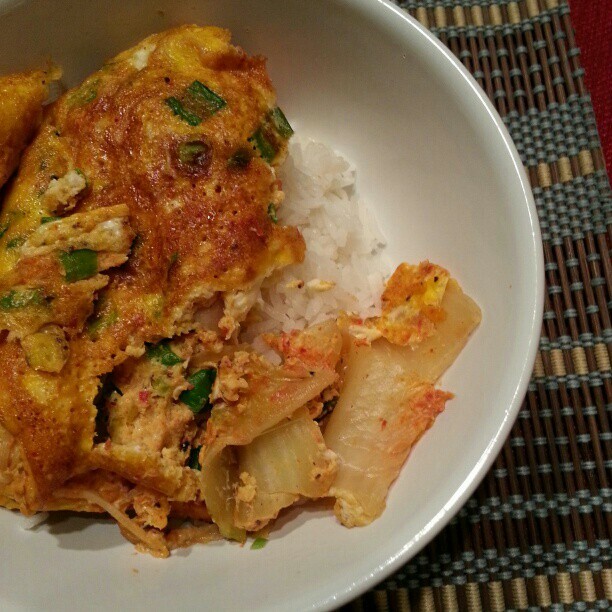 Question: What are your favorite ways to eat kimchi?